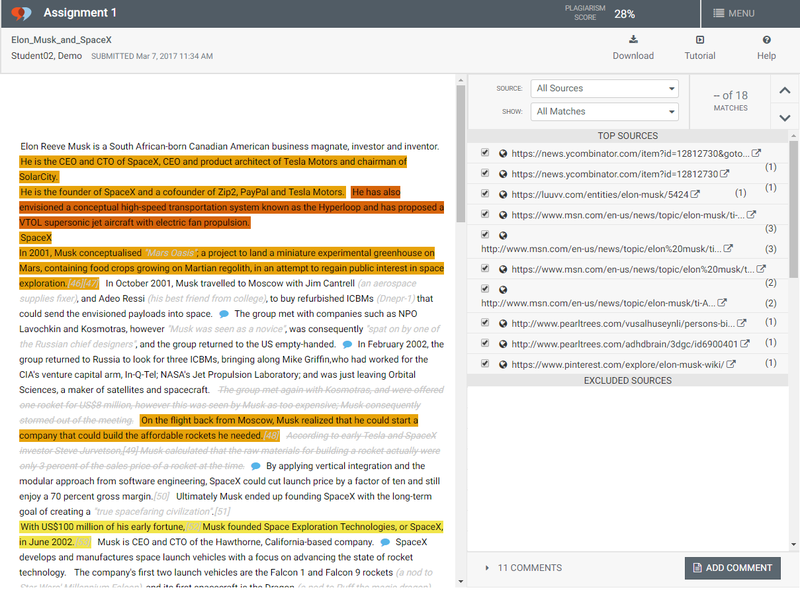 VeriCite DocumentationUser GuidesCanvas User Guide New Canvas Plagiarism Detection Framework Integration - Instructor ArticlesHow do I view VeriCite reports for student submissions? You may access and view VeriCite reports from either Speedgrader or Grades. Viewing VeriCite reports in Speedgrader. Click on the assignment you want to view or grade. 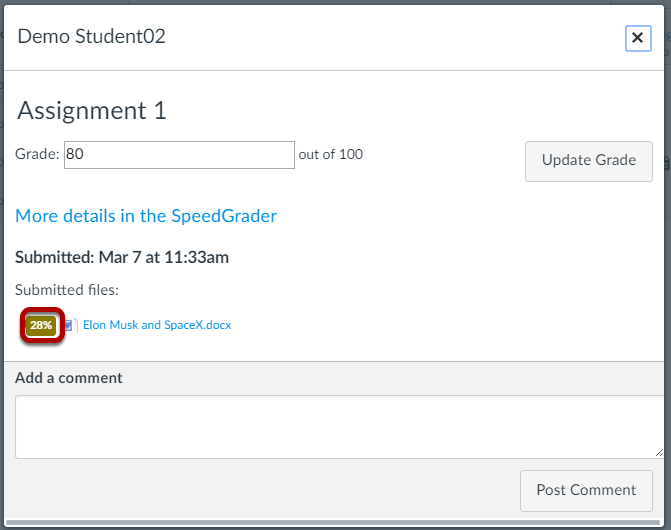 Zoom: Click on the assignment you want to view or grade. Click the Speedgrader link to open Speedgrader in a new window. Zoom: Click the Speedgrader link to open Speedgrader in a new window. Click on the VeriCite report percentage to view the report. Zoom: Click on the VeriCite report percentage to view the report. The report matching percentage indicator will be color-coded based on the amount of matching text found within the report. Colors indicate the level of plagiarism (i.e. matching text) detected. When you click on the matching percentage, the VeriCite report will open in a new window. Zoom: The report will display. Each time a user views a report, the report is dynamically generated. 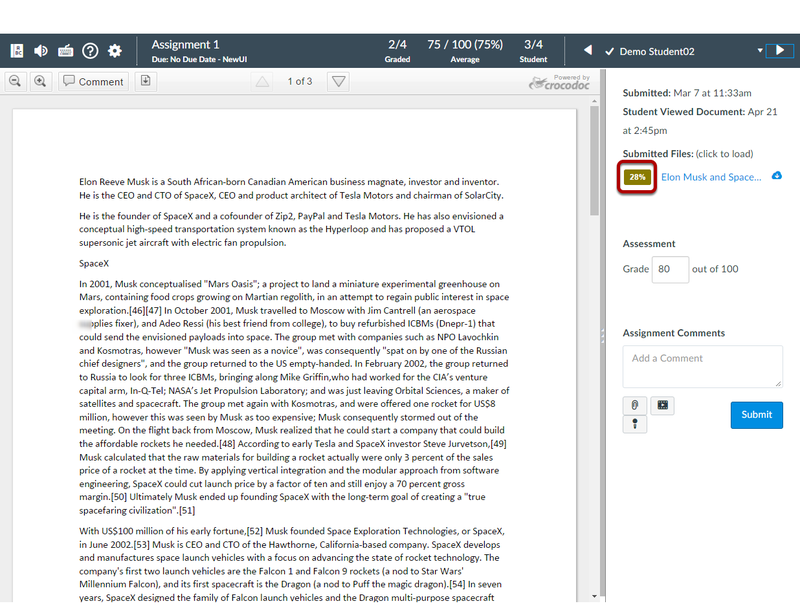 After you are finished reviewing the report, return to Canvas to enter a grade and/or overall comments for the assignment submission. Viewing VeriCite reports in Grades. You will see a list of the students in the class. 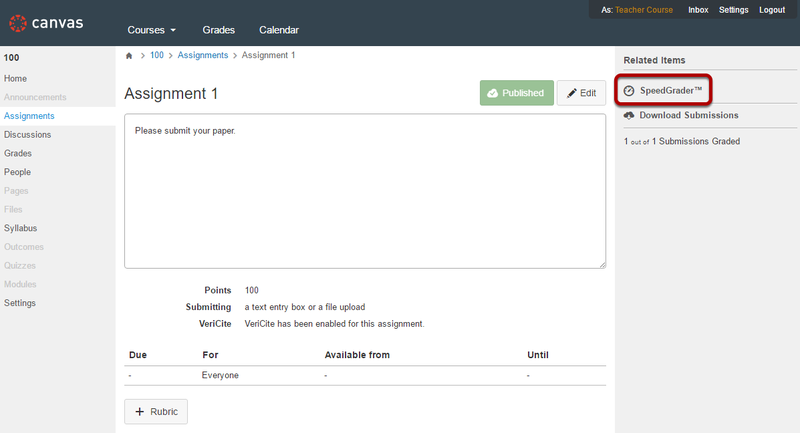 Submissions with VeriCite reports will display a colored flag in the assignment column. Flags are color-coded to indicate the level of plagiarism (i.e. matching text) detected. Click on a flag to view individual submission details. Click on the report matching percentage to view the VeriCite report. Prev: How do I add a VeriCite assignment? Next: How do I navigate a VeriCite report?